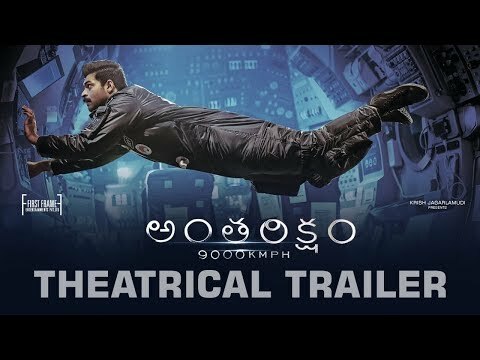 Antariksham 9000 KMPH is an Indian Telugu Language Sci – Fi Movie, Which is Written & Directed by Sankalp Reddy and Produced by Rajeev Reddy Yeduguru, Radha Krishna Jagarlamudi (Krish) and Sai Babu Jagarlamudi and the Banner of the picture is Krish Jagarlamudi Presents ,while Prashanth R. Vihari scored Music for this Movie. Coming about the Cast & Crew of the Movie is Varun Tej, Lavanya Tripathi, Aditi Rao Hydari, Satya Dev, Raja, Srinivas Avasarala, Rahman .while Gnana Sekhar V.S. (Baba) took Charges of the flim Cinematrography and Editting of the Movie is Karthika Srinivas . Antariksham 9000 KMPH Movie Released on 21 Dec 2018 .